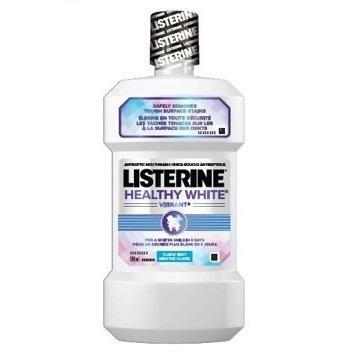 LISTERINE HEALTHY WHITE VIBRANT® Whitening Mouthwash is rated 4.6 out of 5 by 51. We know you want to flash a super-white smile. But we also know you want to make sure your smile is as healthy as can be. 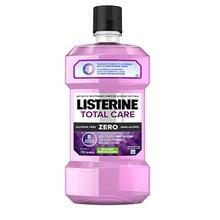 LISTERINE HEALTHY WHITE VIBRANT® can help make your teeth their whitest, while restoring enamel. It whitens by removing tough surface stains and uses fluoride to help strengthen your enamel. So go ahead, flash those pearly whites! 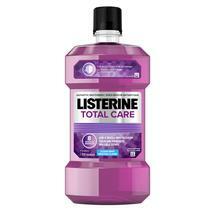 Adults and children 12 years and older: Use twice daily after brushing with toothpaste. Vigorously swish 10 mL of rinse around and between teeth for 1 minute and spit out. DO NOT SWALLOW. Do not eat, drink or rinse with water for 30 minutes after use. Consult a doctor or dentist before using in children under the age of 12 years. See product label for complete instructions. Rated 5 out of 5 by Mindyness from WOW!! This actually works and you can see and feel the difference after only a few uses. Great product! Rated 5 out of 5 by schmidty from This product works. 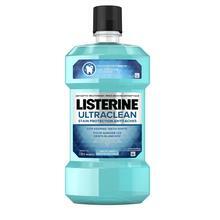 Removing stains and killing bad breath are great properties. Rated 4 out of 5 by Momo34 from Love this Really like using this. Noticed a difference right away. Rated 3 out of 5 by lily60 from Works wonderfully Such a miracle for it whitens my teeth. Great smile!